First performance: 29 October 2017, Uppsala Domkyrka (Uppsala Cathedral), Uppsala, Sweden. Uppsala Akademiska Kammarkör, Västerås Domkyrkas Motettkör, Olle Persson (baritone), Johan Hansson Lindström (organ), Stefan Parkman (cond.). About the piece: Commissioned for the quincentenary of Martin Luther’s Ninety-five Theses, 31 October 1517, the start of the reformation. 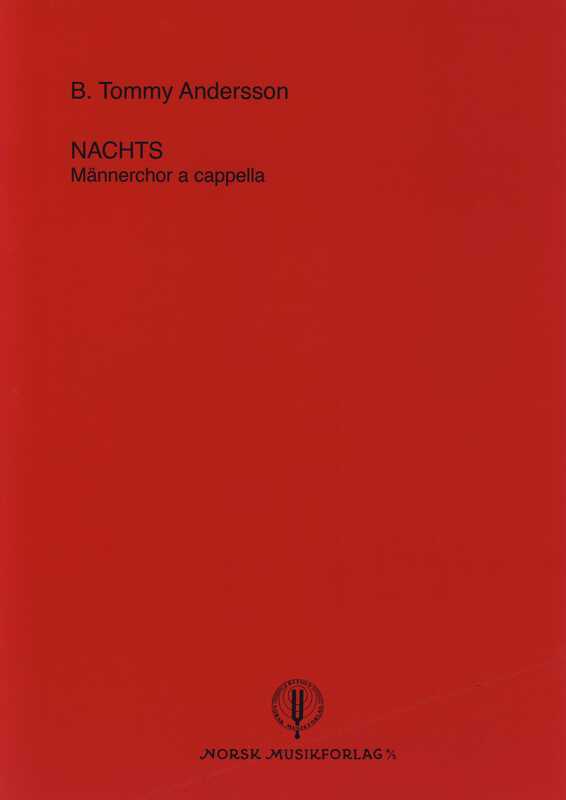 These chorale variations make use of the texts and melodies of Martin Luther (1483–1546), putting them in an entirely new musical context with a dramatic and narrative approach to the words. The four movements can be performed either as a suite or individually. 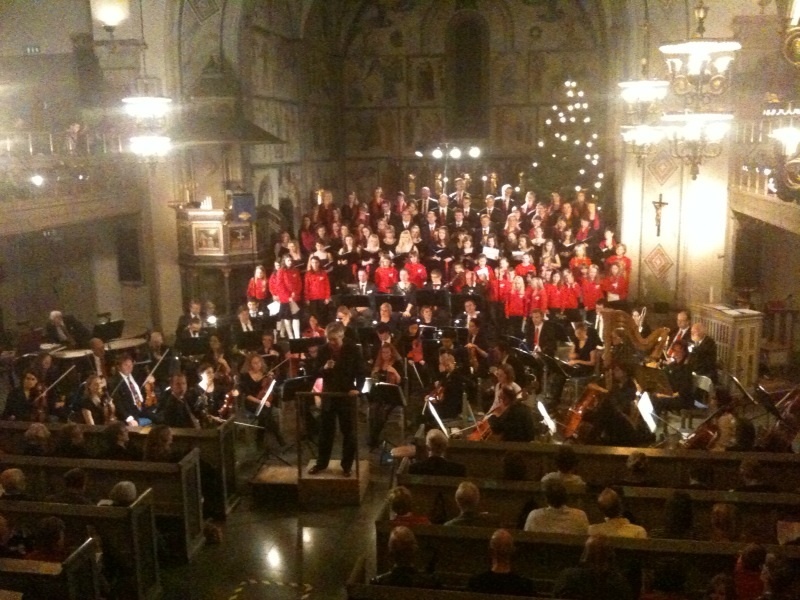 First performance: 19 January 2014, Sankt Petri Church, Malmö, Sweden. 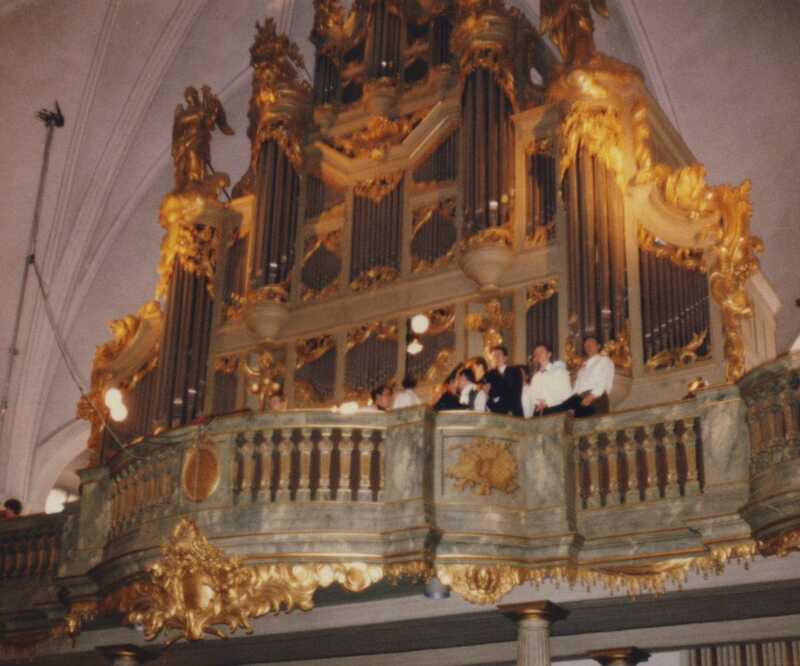 Sankt Petri Singers, conducted by Alexander Einarsson, and Carl Adam Landström, organ. About the piece: The music is composed to a poem of Nobel Prize laureate Tomas Tranströmer (1931–2015). In this short and beautiful poem (From March 1979), the author tells how sick he is to hear words without a meaning, words without a language. He travels to a desolate, snowy island, where he sees a line of deer-slots in the snow — a language without words. First Performance: 5 October 2012, Studio Acusticum, Piteå. The Erik Westberg Vocal Ensemble. About the piece: In this piece, I bring together two poems of the English poet, painter, and printmaker William Blake (1757–1827), The Tyger (from Songs of Experience, 1794) and The Lamb (from Songs of Innocence, 1789). These poems are written five years apart, but they are in a way related, since Blake refers to the maker of the Lamb in The Tyger. He asks himself whether the creator of the mild, blessed, innocent Lamb really also could have created the fearful Tyger. …..It is all about the ancient Theodicy, i. e. the question whether a good and allmighty God really exists, when there is so much evil and suffering in the world. Considering all problems and wars that are to be found in the world today, it is still a valid question. …..The two poems are quite contrasting, which is an advantage musically. The predominating tone is restless and tempestuous, based on The Tyger. 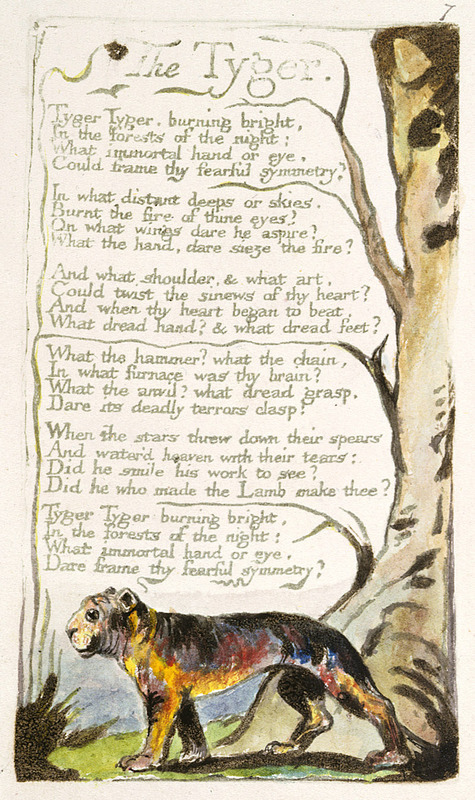 The poem The Lamb, which has inspired to slower and milder music, appears directly after the fifth verse of The Tyger, where the lamb in mentioned. After that, the stormy music returns and concludes the piece. …..The music is written for mixed chorus and a large symphonic (romantic) organ with three manuals, but it could also be played on a two manual instrument. 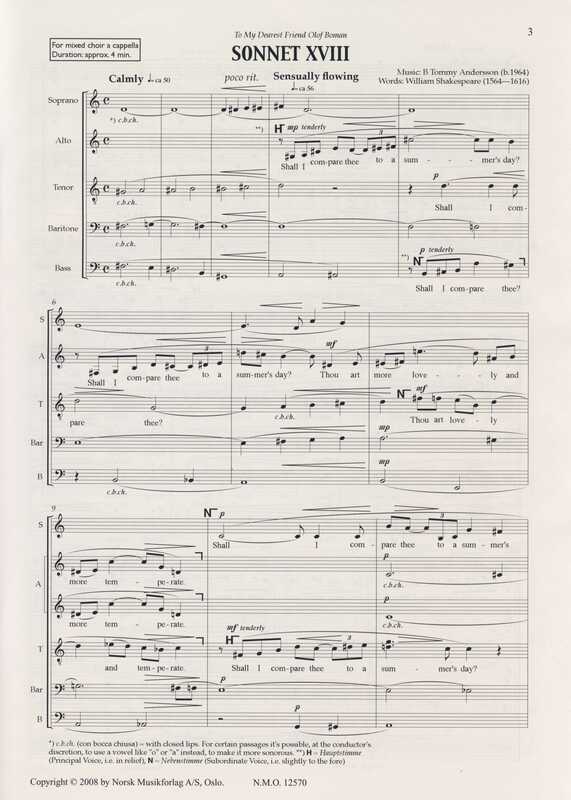 In order to facilitate the execution of the organ part (to make it easier to read and to reduce the number of page turns that would occur if it is played from the score), a separate organ part is available from the publisher. …..There is also an arrangement for accordion, to replace the organ, in the form of a separately published accordion part. 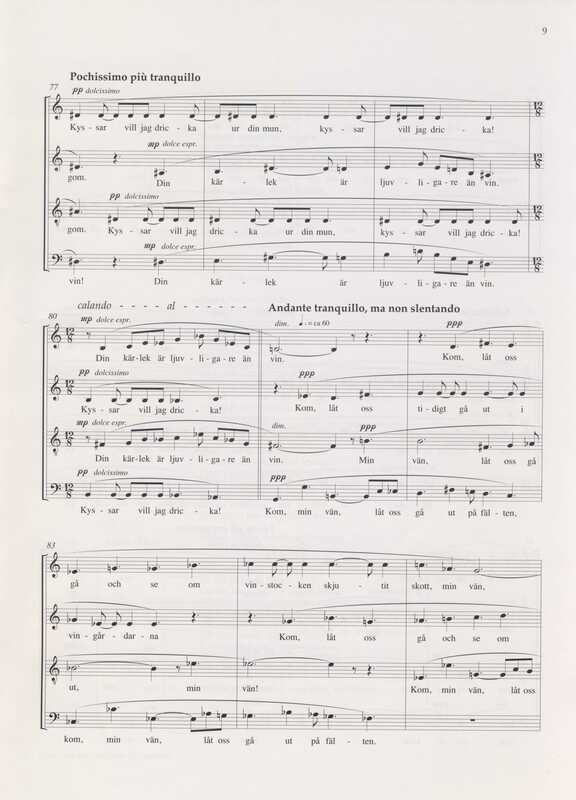 The chorus and the conductor make use of the same score (chorus and organ) in both cases. - The organ has a soloistic role and should be a large romantic pipe organ with 16ft-stops on the manuals and 32ft-stops in the pedal. 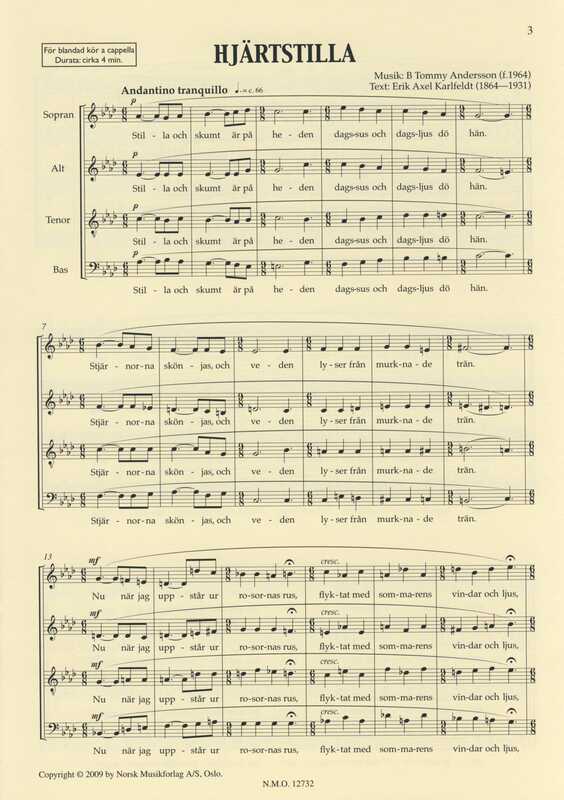 About the piece: Some of the old songs used in A Christmas Gloria are taken from Piae Cantiones, a song book of 74 sacred non-liturgical Latin songs, published in Åbo (nowadays a part of Finland, in those days a part of Sweden), in 1582.
xxxFirst of all Personent hodie, a merry song, describing the little child Jesus lying in his crib, urging us to sing ‘Gloria in excelsis Deo’. The second song is Omnis mundus jucundetur, an exhilarated song, enthusiastically telling us that all the world must rejoice, because our Saviour is born. xxxThe third song, In dulci jubilo, was very popular all over Europe. The original words were written half in German and half in Latin, a so called ‘Latin macaronic’ text. Here I give three text versions; the Swedish-Latin version from Piae Cantiones, the English-Latin version of George Ratcliffe Woodward (1848–1934), and, finally, the original German-Latin version of Peter von Dresden (approx. 1350–1425). xxxO Sanctissima is a Sicilian hymn in Latin to the Blessed Virgin Mary, sometimes called ‘Sicilian Mariners Hymn’, and Adeste Fideles has its roots in a (probably) Portuguese hymn in Latin from the 13th century, with a hymn tune of John Frances Wade (1722–86). 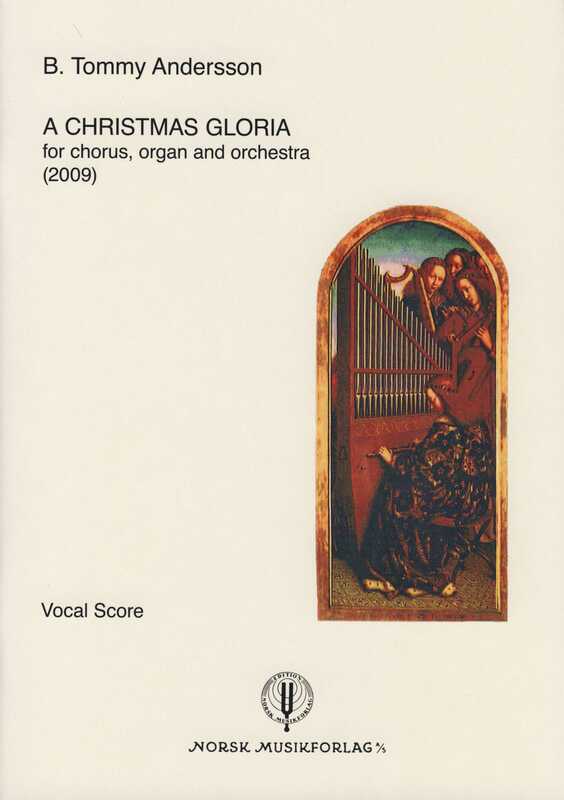 xxxAs a ritornello in the piece, I make use of the ‘Gloria in excelsis Deo’ from the Christmas carol Angels We Have Heard on High, and I also use fragments from The First Nowell, as an orchestral interlude. - Percussion instruments (one player): tubular bells, vibraphone, two low Thai gongs in A-flat and B-flat. About the piece: A Song of Joys was commissioned by the male chorus Orphei Drängar in Uppsala for their Spring concerts 23—24 April 2005. In this concert the musician couple Katarina Nilsson and Markus Leoson were guest soloists, so the chorus wanted a piece which incorporated both of them. The words used in A Song of Joys are drawn from two different poems of the American poet Walt Whitman (1819–1892). These two poems (the love poem When I Heard at the Close of the Day and excerpts from A Song of Joys) are superimposed in a way that binds them together. The love poem is sung by the solo voice alone and the other poem mainly by the male choir but in the end also by the soloist. 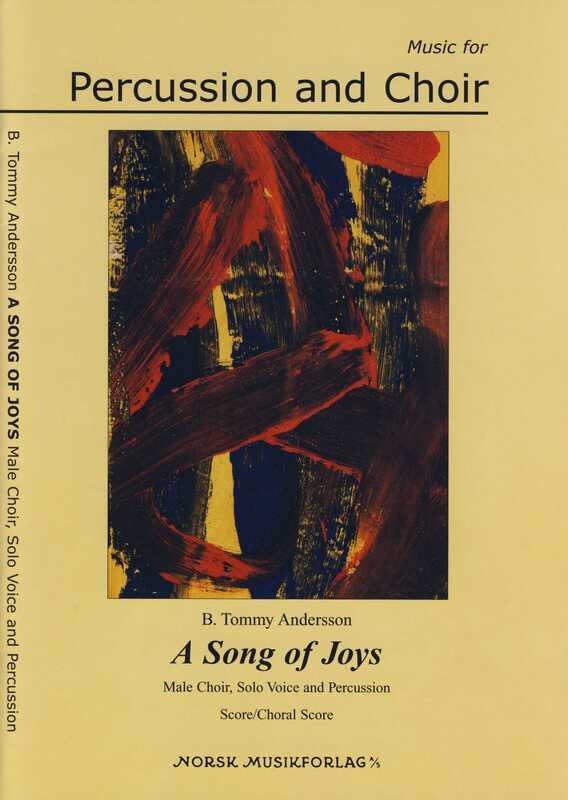 About the piece: The text is a compilation of verses from The Song of Songs (the Bible), in Swedish. It is a tribute to carnal desire, not a sacred choir piece, and I have been quite free in my way of using the verses. …..Since these poems originate from an ancient, Oriental setting, I studied some anthologies on Arabian music and have incorporated some significant features in the mode that is used in the piece, like the two augmented seconds; E-flat/F-sharp and A-flat/B natural. 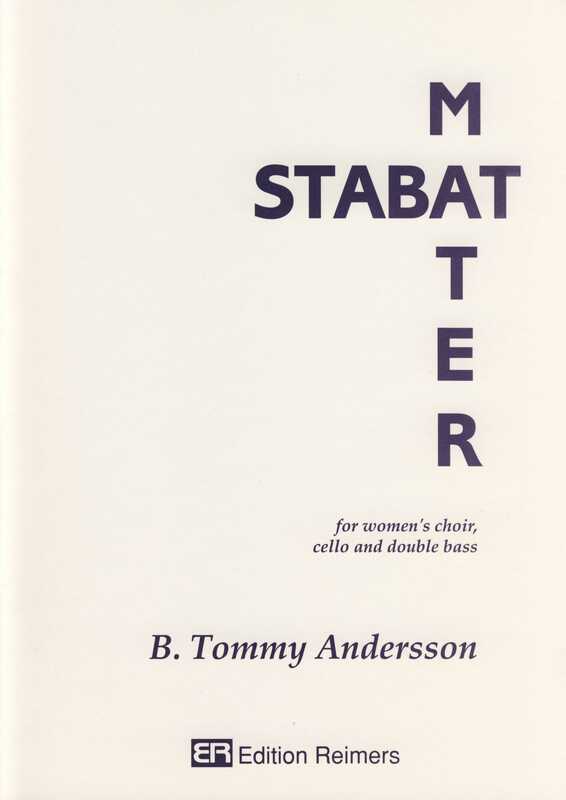 About the piece: This piece was commissioned by the choir Stockholms Motettkör and it was premiered at their 30th Anniversary Concert at Nybrokajen 11 in Stockholm, 25 October 2002. The words are from Sonnet No. 18 of William Shakespeare (1564–1616), Shall I Compare Thee to a Summer’s Day. Instruments: 2 violas, 2 violoncellos, large organ, 4 percussionists (I & II on the left side of the organ, III & IV on the right side). - Percussion instruments: Perc. I: vibraphone, side drum, large bass drum, 5 Chinese temple-blocks, suspended cymbal, medium tam-tam, 2 tubular bells (in B natural, C); Perc. II: 3 timpani, clashed cymbals, tenor drum, wood-block, logdrum with two pitches, 5 brake-drums, crotales; Perc. III: clashed cymbals, medium bass drum, 5 tom-toms, 3 gongs (in D, E, F-sharp), glockenspiel; Perc. IV: marimba, 2 bongos, suspended cymbals, side drum, tambourine, large tam-tam, 2 tubular bells (in G, A), 3 gongs (in D, E, F-sharp; same instruments as Perc. III). About the piece: The chorus (Latin text only) should be placed on the organ loft, together with the percussion and the organ, invisible to the audience. The solo voice (Swedish text only) and the strings should be in front of the audience and might need a separate conductor, unless it is performed as chamber music. - Percussion instruments: triangle, clashed cymbals, suspended cymbal, 2 side drums (one with and one without snares), bass drum. First performance: May 1981, Sandared Church. A Vocal Ensemble, Margareta Skyllberger (leader and piano). Voices: double chorus (S.A.T.B. + S.A.T.B. ), solo voices (soprano, mezzo, baritone) and children’s chorus, a cappella.